The UFC is planning a massive heavyweight match-up between two experienced heavyweight title contenders. 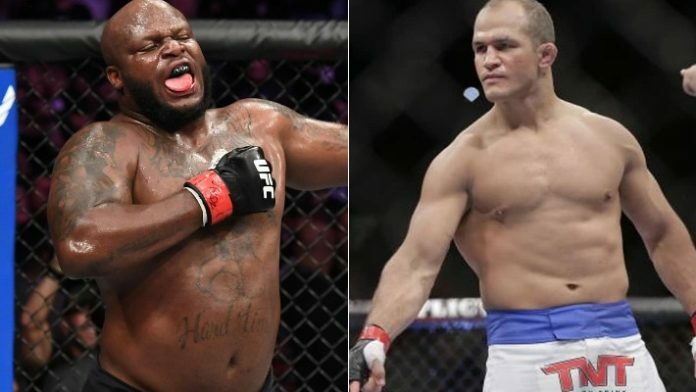 According to a report from MMA Junkie, the UFC is targeting a bout between Derrick “The Black Beast” Lewis and former heavyweight champion Junior dos Santos. The fight is being discussed to headline UFC on ESPN+ 4 on March 9th from the INTRUST Bank Arena in Wichita, Kansas. Lewis comes off an unsuccessful title bid inside Madison Square Garden. He headlined UFC 230 opposite Daniel Cormier in New York. Unfortunately, Lewis came up short as he was submitted in the second round via rear-naked choke. The defeat marked the end of the Houstonian’s three-fight win streak. A win over dos Santos would certainly be a big stepping stone back into the heavyweight title conversation. What do you think of the match-up between Lewis and “JDS”?